It’s just amazing and great what you do ! I admire you very much. I also love nature and always try to do my best to protect it. I’m a triathlete for passion and I know how though it gets sometimes and how strong you have to be with your mind ! 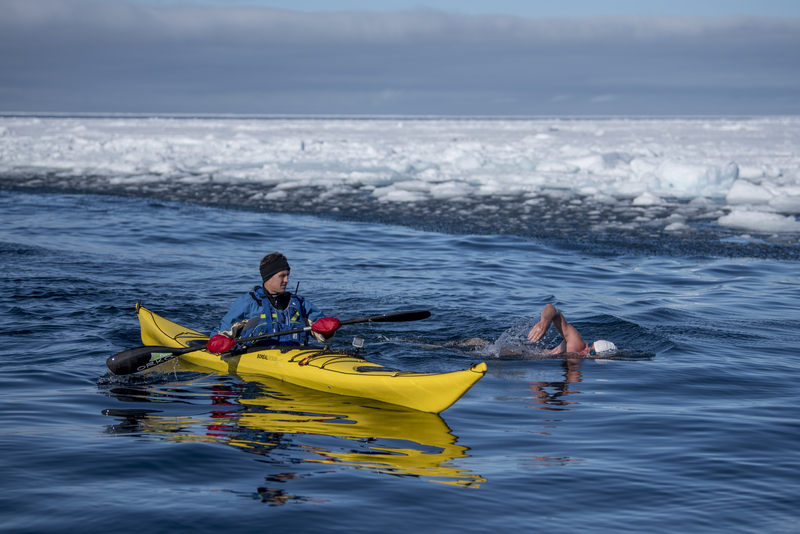 I’m so grateful for all the messages of support and encouragement I’ve received since my swim along the edge of the Arctic sea ice. I’ve also received many, many requests to share how it is that I’m able to swim in sub-zero waters. It’s not because I have some kind of superpower. It’s because I’m well prepared, have a plan in place, and a practiced team around me to execute that plan. 1) Experience is key. Experience comes from being in the water. This year marks the 30th year I’ve been swimming in cold water. 2) If a person without any training were to dive into water below 0°C, they would drown in a short period of time. Each of these swims takes me at least 6 months of very hard training; this involves a combination of swimming, weights and running. 3) I only train in the sea. Most of my swimming is done in the South Atlantic in water around 12°C. Before I swim in the Arctic or Antarctic, I spend about a week acclimatizing to the cold in water around 3°C. The process is much like acclimatizing to altitude in mountaineering – I swim in progressively colder and colder water. 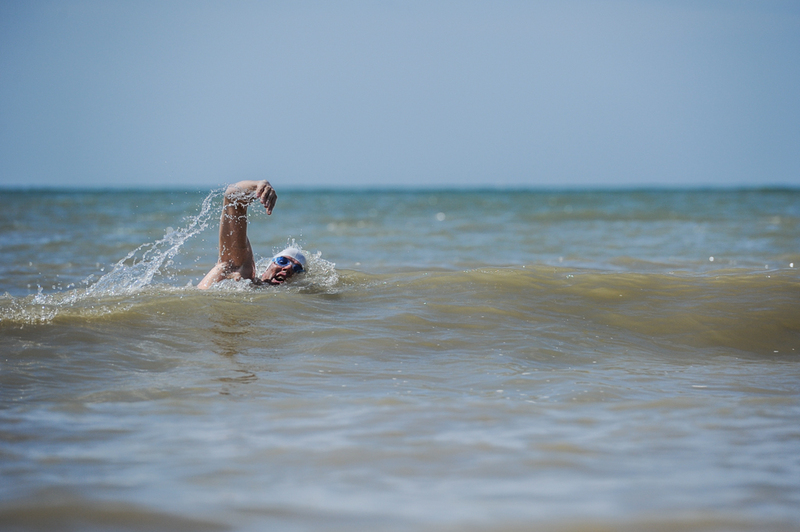 4) I spend the final days before the swim focussing on what I am trying to achieve. Motivation is key to keeping me going when the going gets tough. 5) I always dive in. If you dip your toes in, you’re just spending longer getting cold. Besides, it’s important to commit 100%. 6) Scientists have found that my core body temperature rises even before I dive in. They’ve recorded temperatures as high as 38.2°C. Prof Tim Noakes first noted this response and coined it “anticipatory thermogenesis” (creation of heat before an event). We don’t know the reason for it; Prof thinks it’s a Pavlovian response due to years of cold water swimming. I think it’s fear! 7) As soon as I dive in my capillaries constrict to defend the warmth in my body. My blood rushes to my core to protect my vital organs. The first thing I need to do in the freezing water is calm down and control my breathing. Then swim. 8) During the swim I must maintain 100% focus. If I start thinking I am cold, I’ll be out the water very quickly. 9) The pain is excruciating. I’ll think of dozens of reasons to get out. So I try to focus on the ONE reason to keep on going. 10) I can swim for about 20 minutes in water below 0°C, after which my stroke slows considerably. (In my last swim I was in the water for 22 minutes. That was at least 2 minutes too long.) As my core body temperature drops, my hands can no longer grip the water, my coordination starts going, and my swimming stroke becomes ineffective. 11) At a certain temperature (which we don’t know) the muscles become numb and the capillaries can no longer constrict. At this point I am in dangerous territory, because instead of constricting they start to dilate. Blood rushes to my skin, I turn bright red, and heat radiates out of my body. 12) Now it is imperative that I exit the water immediately! 13) My team rush me into a hot shower on the expedition ship. However, I am still in the danger zone. My core body temperature keeps dropping as the blood in my extremities, which is now ice cold, returns to my heart. It takes at least 50 minutes in a hot shower to restore my core body temperature to normal again. 14) Finally, I need a driving purpose to do this. I swim to carry a message about the state of our oceans. I’m swimming in places, which until recently were frozen over. Our polar regions are under serious threat. That’s why I swim in them.